Feeling a little nostalgic this week and so I decided to take you back to a simpler time. Back to before cell phones and electronics were everywhere. 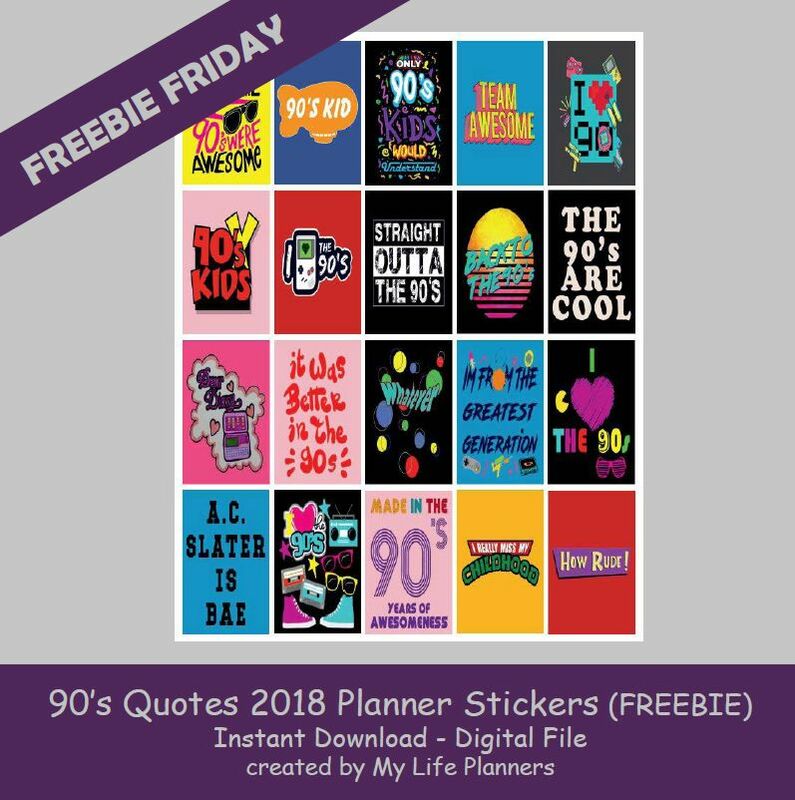 Stroll with me down memory lane to the 90’s with this week’s Freebie Friday Feature of 90’s Quote Stickers. Add some memories to your planners with these fun quotes.